My name is Golnaz Yamoutpour and I am the influencer and creator behind the award-winning foodie platform, Eat.Drink.Dish. I started Eat.Drink.Dish in 2014 to help support local food businesses by creating a social hub for both people seeking out new foods and other food influencers, all while supporting the growth and evolution of the Minnesota food and cuisine landscape. 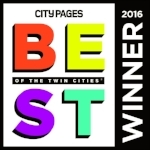 Since then, I've received City Pages Readers' Choice "Best Instagram" for 4 consecutive years, Zagat's 1st Annual Foodie Award, and I joined the Minnesota Cuisine Committee as the Social Media Lead extending invitations to civic-minded foodie influencers donating their time to the Minnesota Food campaign. 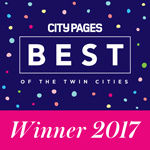 I've had the opportunity to be a thought leader in my community by being a judge at City Pages Annual Iron Fork Competition, a speaker at both Harding High School and the University of Minnesota, and a mentor to many local up and coming food enthusiasts. Currently, I am working on expanding the Eat.Drink.Dish brand to continue to support local businesses beyond Instagram. Please contact us with your request or click below to learn about our services.